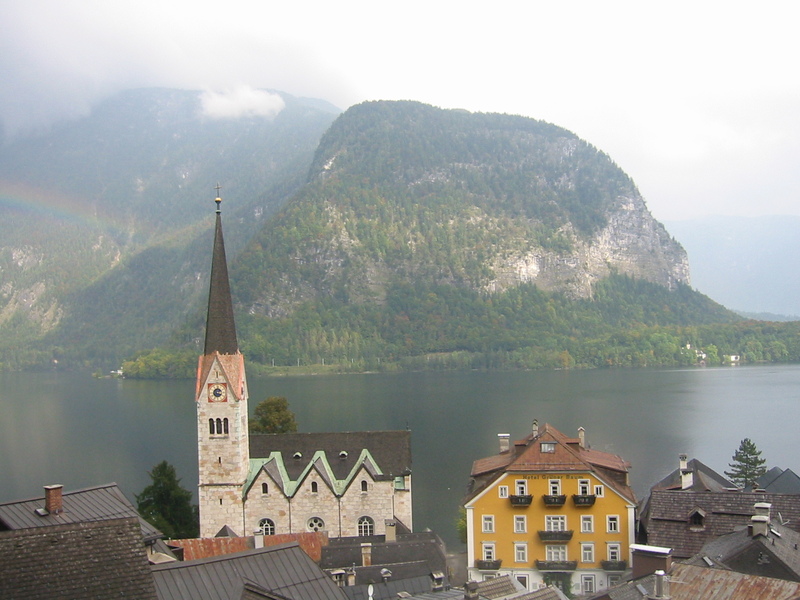 Per Wikipedia, Hallstatt, is a village of 946 people located in the Salzkammergut region in Austria. It contains the world’s first known salt mine that dates before the Roman Empire. It’s also the site of the world’s oldest pipeline which was constructed 400 years ago out of 13,000 hollowed out trees. There’s no room for cemeteries to speak of, so every ten years, bones used to be exhumed and removed to an ossuary to make room for new burials. 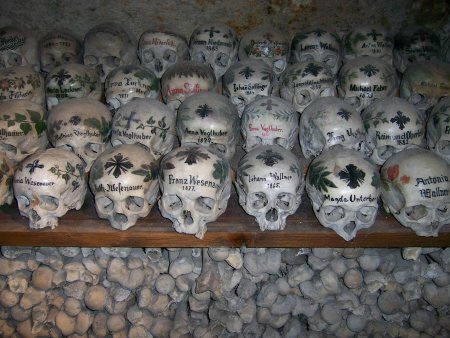 Elaborately decorated skulls with the owners’ names, professions, death dates, etc., are inscribed on them and displayed at the local chapter. I’d like to visit this town some day. I watched an OETA travel show about it the other day and it looks like a really cool place to visit.